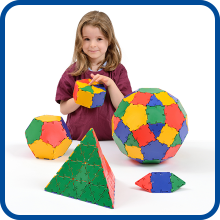 Polydron products have earned the respect of teachers and pupils around the world for over 30 years. 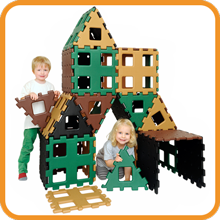 Polydron’s excellent quality, value for money, timeless products which will last for generations to come, have made us the leader in our field. 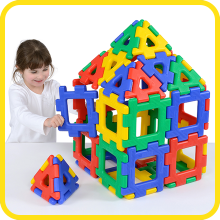 We are the foremost supplier of geometric construction shapes to schools. 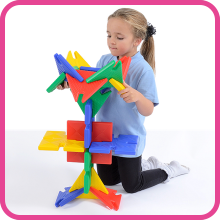 We are proud to say that we make brilliant, fun, high quality construction products for teachers and pupils around the world. 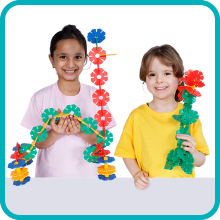 We have been doing this for over 30 years, and we think we are not only good at it, but we are getting better with your help. You tell us what you need, and we listen and act. 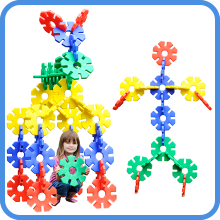 From our original idea we have evolved into making Magnetic, Giant, Junior and Octoplay. The evolution goes on; watch this space for even more new and exciting products coming your way soon. 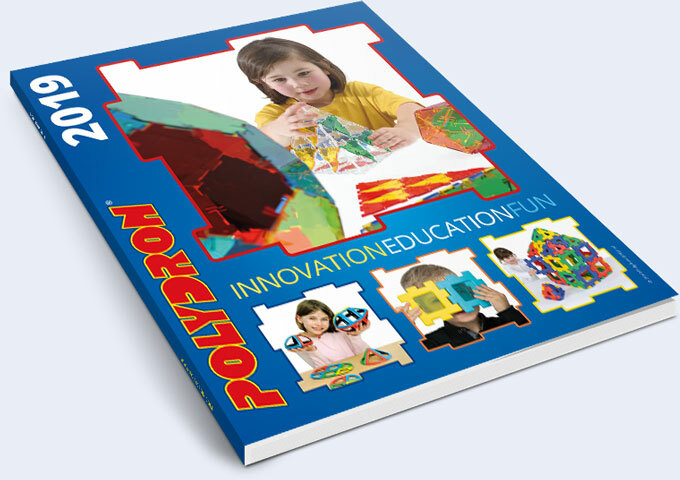 Polydron products are recognised as an important educational tool for children of all ages and most sets are supported with books which are written by education professionals to support the mathematical application of Polydron in the classroom. 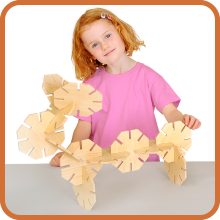 They include lesson plans; fully licensed photocopiable exercises; glossaries and fun activities. 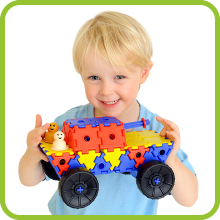 Our resources are loved by kindergartens and nurseries as well as primary schools. 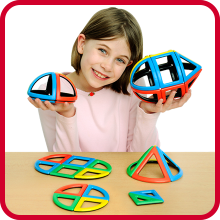 Using Polydron is fun - when children are having fun they learn more readily. 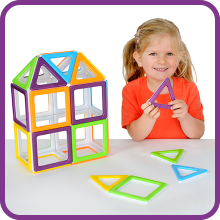 Our resources cover a wide range of maths, design and technology, and construction learning concepts such as geometry, learning the properties of shapes as well as developing the skills to develop both simple and complex shapes. 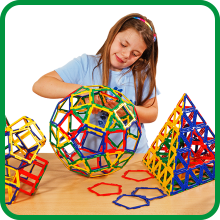 Children love using Polydron to build a wide variety of polygons, quadrilaterals, cuboids, prisms, cones, rhombuses, pentagons, octagons, decagons and polyhedra. 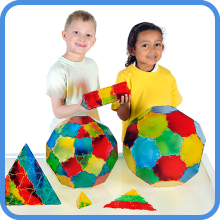 Our packs contain a wide variety of shapes covering triangles, squares, hexagons and rectangles and are ideal for building both 2-D and 3-D shapes. We are also proud of our excellent safety record. We take safety very seriously and you will be delighted to know that we conform to the very highest standards in every country we work in. From our Head Office in the Cotswolds, the Polydron team value our customers and are proud to provide the highest possible standards of service and support. If at anytime during your visit to our website you have any questions, please contact us and we will be happy to hear from you. Thanks for visiting.